In The News - Chuojiao Fanzi. Halifax Wushu Club. 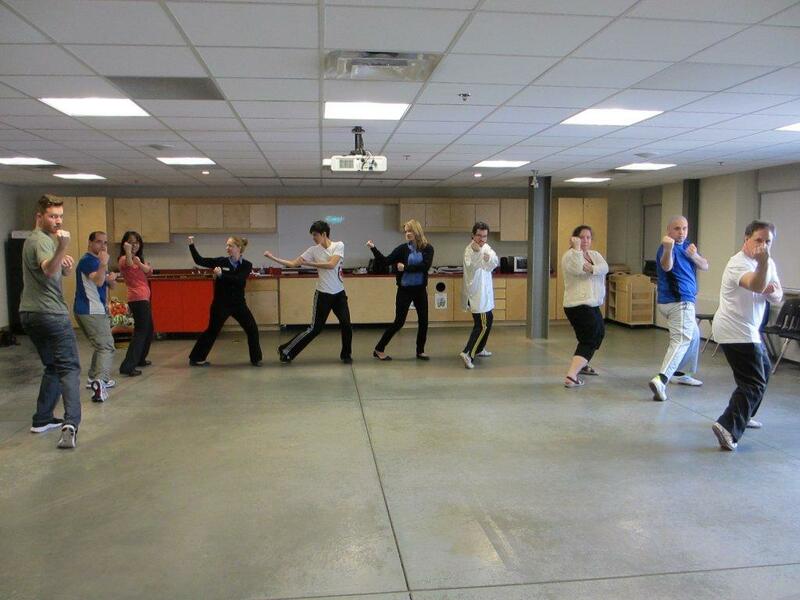 On May 5, 2012, the Halifax Wushu Club was aksed to give a kung fu / wushu demonstration at Pier 21 in Halifax to celebrate Asian Heritage month. Pictured here are some members of the Halifax Wushu Club teaching some brave members of the general public who came to watch the Demonstration. Not everyone who came to watch chose to participate in the physical part of the class but those who did (pictured here) learned, amoung other things, a cool Chuojiao pose. No critiques please! Through a summer evening fog, Josh Arnold intensely goes through a Wushu workout. Chinese, whereas Kung Fu means to be really good at something. seminars with the Halifax club. In addition, Josh has several personal training sessions. physically demanding as one wants to make it. You can practice as hard or easily as you want. that program and has generated interest from shul members as well as others outside. happens, but “you have the confidence to use it if necessary. at the same school where Lu Yan, now 47, was teaching. Wushu, trained five hours and attended academic classes for three hours daily. She says the coaches were there to help, not to exert pressure to produce championships. They wanted their students to be better, to improve. One of her class members was Jet Li who went on to a major action film career. have won national and world championships. but they are back it pretty quickly, Josh leading with his encouragement and enthusiasm.